After you hear these Sting Tones, you will be wishing you could get a set for yourself. Sting proves he’s still got it after he gives a super-kick to several generic cell phone ringtones. While on Thursday’s Tonight Show, Jimmy Fallon had Sting listen to several cell phone ringtones and then sing his own versions of them. The results were awesome and the talented singer could definitely make money if he patented his very own set of ringtones. The iconic singer started off with the classic iPhone marimba ringtone, which he not only nailed, but made it sound like an actual catchy tune. Then, Sting “covered” the xylophone tone, and as we listened, we couldn’t help but feel a bit familiar with it. It all made sense when Fallon pointed out it sounded just like an ’80s hit from Sting’s group The Police. Next, Sting did an outstanding rendition of the classic Nokia tone, which was one of the first ringtones to introduce little cute tunes to cell phone rings. 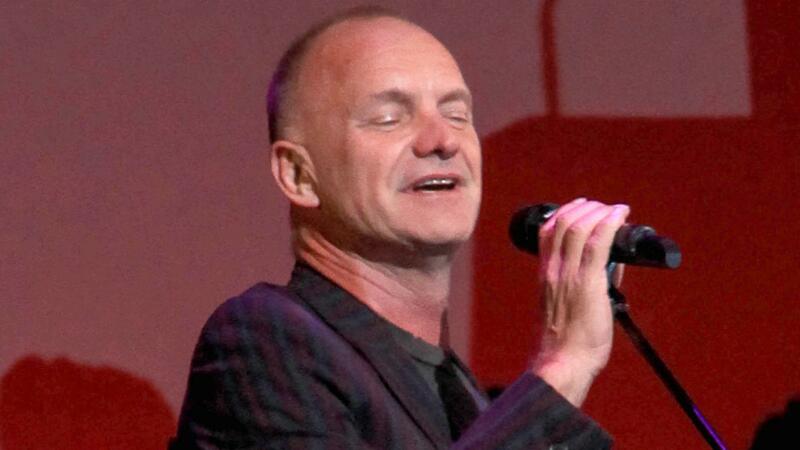 “This is hard,” Sting said at first, but he sang it perfectly, prompting Fallon to say he’d never answer his phone if that was his tune, as he’d love to listen to it indefinitely. Sting and Fallon didn’t stop there with their cell phone fun, however. The funny host actually picked a random audience member and had Sting record an outgoing voice mail message for him. The lucky winner looked like he was in heaven as Sting sang a version of “Message in a Bottle,” retitled “Message on My Voice Mail” into his phone. You can watch the entire clip with Sting in the video below.